Discover five incredible cheeses from the Rogue Creamery, one of the premier cheesemakers in the Pacific Northwest. 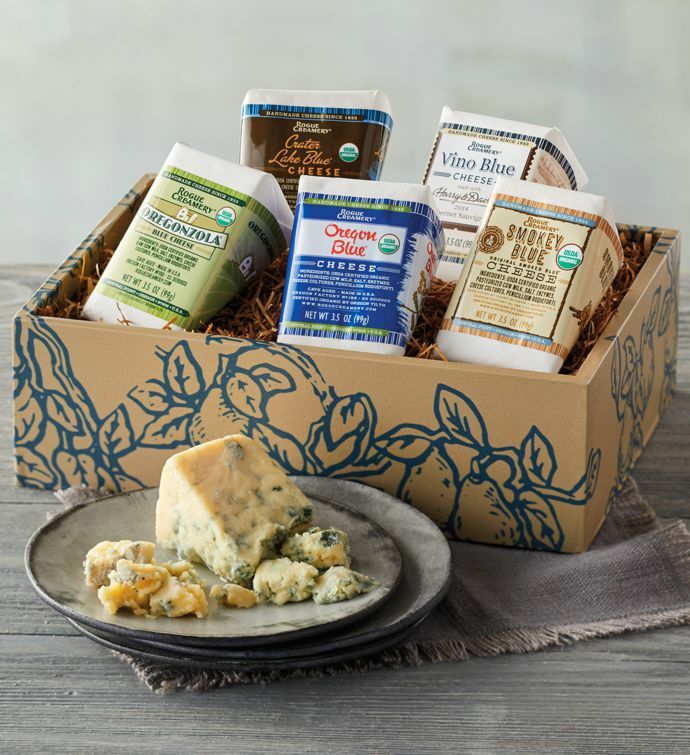 This gift box is perfect for any true cheese connoisseur, or makes a delightful addition to your next gathering. Features five of their most popular cheeses—including Rogue Creamery® Smokey Blue, the world's first smoked blue cheese, and Crater Lake Blue, a robust blue with a sharp fruity finish. Oregonzola® Blue cheese, an American spin on an Italian classic, Oregon Blue, the Rogue Creamery's classic, signature blue cheese, and Vino Blue, a classic blue cheese soaked in Harry & David™ Cabernet Sauvignon round out this incredible assortment.